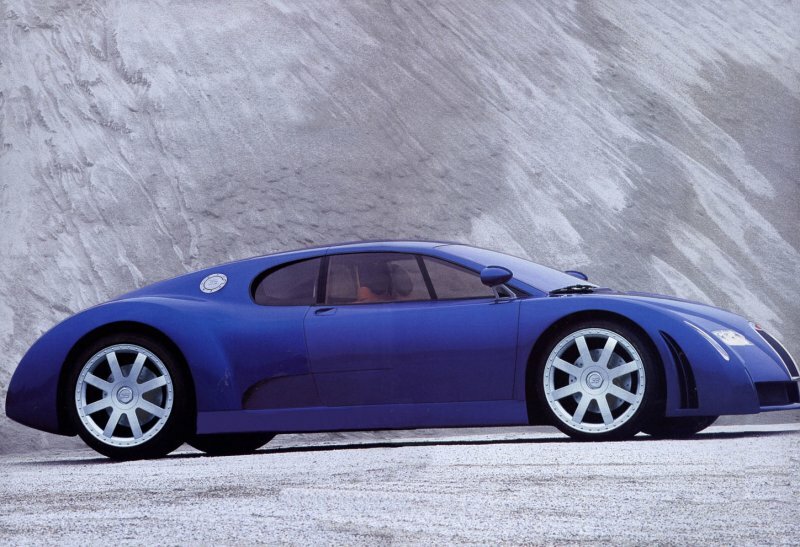 Bugatti EB Chiron W18/3 is designed by Ital Design and unveiled in the 1999 Detroit Motor Show. 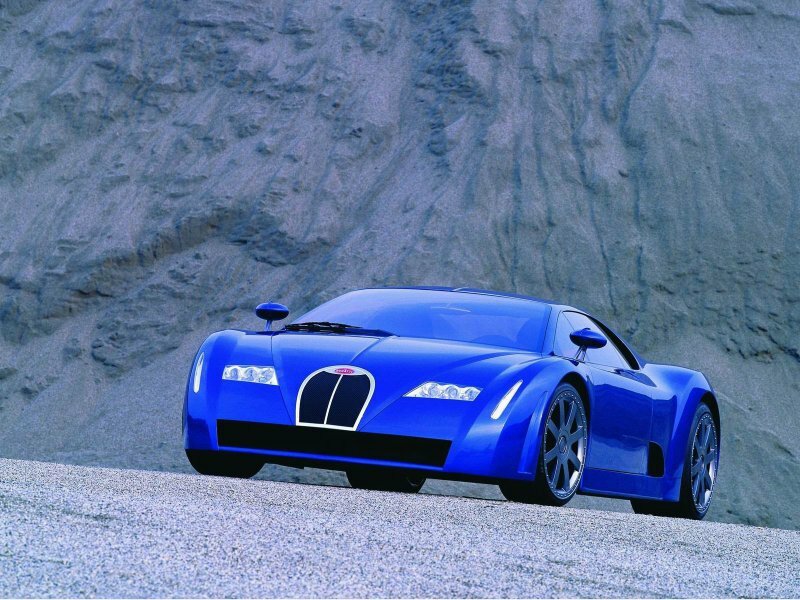 This car is the ancestor fot the future production car – Bugatti Veyron. 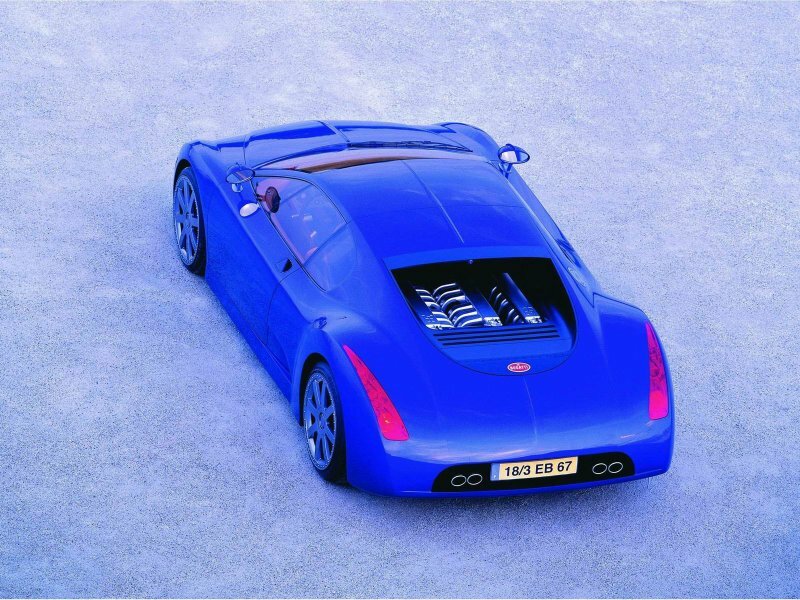 It features W18 engine (6.3 liters, 555 PS, 650 Nm, 0-100 km/h 5 secs, 350 km/h), that is mounted in the middle, all wheel drive layout. 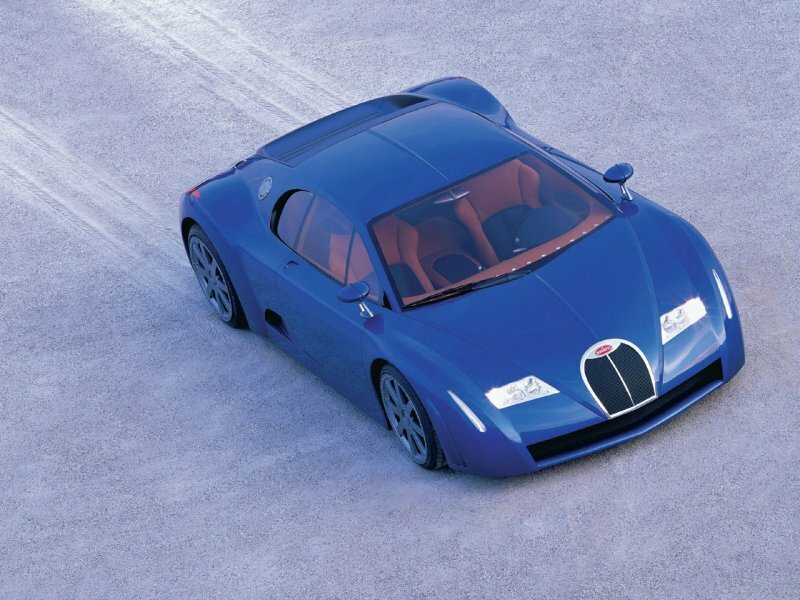 The Chiron 18/3 is named after Bugatti race driver Louis Chiron. The “18/3” represents the engine’s 18 cylinders distributed into three banks of six cylinders each.